Pugh’s Flowershas won numerous awards over the years, including being voted Best Florist in Memphis Tennessee. We offer the finest fresh cut flowers in Germantown. Our local same day delivery zone is the largest of any florist operating in Germantown, Shelby County Tennessee or DeSotoCounty Mississippi. We have been proudly serving Germantown and the greater Memphis metropolitan area since1976. Pugh's is a second generation, family owned, flower shop. Our floral design firm wasoriginally started by Bill Pugh and his partner. The flower shop has really blossomed since the early days. Today, Pugh's operates 4 floral design centers. The flower shop operations staff reports into Tim Pugh. Brother Michael handles the administrative and financial side of the business. There is a third Pugh brother. His name is Mark Pugh. He is responsible for running a thriving landscape business the family started some years ago. We employee one of the largest floral design teams in the state. Our staff is known for their artistic and unique floral designs. They create traditional, contemporary and beautiful modern metropolitan floral designs. 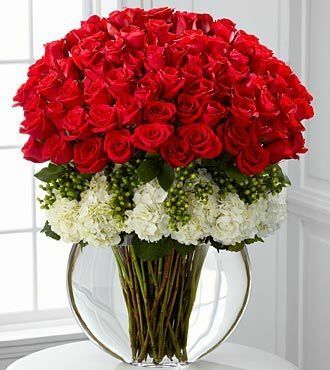 Arguably the most frequently purchased arrangement is our 1 dozen Ecuadorian Red Rose design. These roses are simply stunning! We offer the largest selection of flowers in the area. Many of the flowers we sell were purchase farm-direct. We sell gorgeous Lilies, the best roses in town, beautiful GerberaDaisies, Tulips direct from Holland (Seasonal Product), Carnations, Hydrangea, Alstroemeria, Hypericum, Anthurium and so much more. Our exotic and tropical flowers are really popular. We offer bothCymbidium and Dendrobium Orchids. Our firm designs for all occasions, including weddings and corporate events. We are large enough to handle weddings and events of any size. We have found that people most often send flowers as a way to help a friend, family member or loved one to celebrate one of life's special moments. That said, we are constantly working to expand our floral designs and can produce an appropriate arrangement for virtually any occasion. In addition to flowers, we also offer a great selection of occasion based plants and gifts as well. Earlier we referenced our gorgeous Ecuadorian long stem roses. We buy these direct from growers in Ecuador. Roses grown in this region of the world are truly special. The growing conditions are perfect. The rose plants enjoy a blend of sunlight, moisture and soil conditions that is absolutely ideal for growing roses. Looking for something other than a flower arrangement? You have come to the right place. Pugh's has the best selection of green, tropical and flowering plants in the area. We have everything from emerald garden baskets, to hanging plants to traditional dish gardens. We also sell gourmet gift and fruit baskets. We fill them with lots of gourmet treats, including Godiva chocolates, fresh seasonal fruit and other wonderful edible delights. Pugh's Flowers offers same day flower delivery to all Shelby County Hospitals, Funeral Homes and Mortuaries. We operate a floral design center in Southaven, MS. That allows us to handle ourdaily delivery schedule in DeSoto County as well. We invite you to do your shopping on our website. If you prefer, we also have four floral design centers available for you to come in and see our entireselection of flowers, plants and occasion themed gifts. We operate four flower shops in the greater Memphis and Germantown area. Including our store location in Southaven, Mississippi. Our main fulfillment center is located on WhittenRoad in Bartlett. All of these locations are open to walk-in traffic. Next time you are in the area, please stop by. Each facility has a really nice customer showroom, filled to the brim with gorgeous fresh flower arrangements, green and flowering plants and occasion themed gifts. Pugh's Flowers offers both local and nationwide delivery options. Locally in the Germantown area, we offer same day and express flower delivery service. Nationally, we offer same day flower service. We have a team of delivery drivers on staff. We also own a delivery courier firm called Lickety-Split Couriers. They handle the vast majority of all flower arrangements that we deliver locally. Every flower arrangements we deliver is guaranteed to arrive fresh and on-time. All come with our 100% customer satisfaction guarantee. If for any reason you don't like the arrangement that we have designed and delivered for you, please contact our floral design center and we will replace that arrangement free of charge. These are just a few of the arrangements that are ordered frequently. Each is expertly designed by our floral design team. All are available locally and can also be sent nationwide. The zips below represent areas included in our local delivery zone for Germantown. Wedoprovide same day delivery anywhere in the USA, so in the event you need to send an arrangement to another city in Tennessee, or to another state, we well positioned to take care of that for you. Pugh's Flowers provides daily flower delivery to all mortuaries, funeral homes and churches. We offer the best selection of professionally designed sympathy and funeral flowers in Shelby & DeSotocounties. We offer same day and express flower delivery service to any local funeral home, mortuary or church. If you need to send your funeral flower arrangement to a city, outside of the immediate Germantown and Memphis metro area, we can still offer you same day delivery service. Pugh's Flowers isn't just a flower shop. We offer one of the very best selections of beautiful green, flowering and tropical plants found anywhere in Germantown. Plants make really nice gifts. They last a long time, which allows the recipient to enjoy the gift longer. Another great plus is, plants are an appropriate gift for a wide variety of occasions.